Located in Ayn Arik, West of Ramallah, which is about seven kilometers and is on land belonging to the village of Ayn Arik named after its name. The camp is about twenty to twenty-five without a registered as a half and half back for indigenous villagers and the land was leased by the Relief Agency, who were paid endowments and land owners. As the proportion of the population amounted to several thousand in the camp but many were displaced to the brotherly Jordan in 1967, moved to nearby cities such as Beitunia, Ramallah and Al-Bireh. The number of people living in the camp now has about 500 people and if we add them all who carry refugee relief card and live in the village of Ayn Arik number who carry refugee relief card about 70 percent of the residents of Ayn Arik. The camp grew in the wake of the 1948 Nakba as a delegation to the region, thousands of refugees were from Lod, Ramle, Jaffa, Annaba, Abu Shousha, jimzu, wild, Tower, domes, ameen, alsafret, alswavir, achowa, aslin, saris, infertile, alnaani, fad. The displaced people in almghaer, caves and under trees and slept in the open, lay the ground and wrapped the sky suffered point before suffering UNRWA distributed some tents and shuwadr, after the tents set up in sheds built of stone and mud and roofed with timber and tree branches and has remained the case that established the Agency housing units of brick by small family room and 2 rooms for large families. After the 1967 setback many were displaced to Jordan sister State or neighboring cities as mentioned above and become residents in the camp to return to their roots for the abandoned areas of 1948: the wild, jimzu, Annaba, domes, towers, achowa, aslin, alsafret, alswavir, Ramle, Abu Shousha. Back to the roots of Ayn Arik to King sfronios II, Roman and Roman and her bases village in old village traces this to say, because the label allegedly dates back to the Roman Commander told him “tisor Ark” this name means “many eyes”, where the camp was named after the village. There are two schools in the camp to UNRWA are the primary and the other one B4 junior high there is a health clinic UNRWA also there is also a popular Committee for the camp of the sho’o service in the Palestine Liberation Organization and the youth known as the camp’s Youth Association. 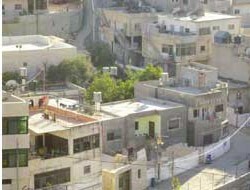 Since the founding of the people’s Committee have been implemented many vital projects that serve the residents of the camp, despite possibilities located has been implementing a project collecting waste by having a private car belonging to the local Council in the village as well as excess water line project of Sheikh Hussein, where the water is going in the street width and the project to set up a kindergarten and kindergarten are typical Kindergarten cost approximately percent and fifty thousand shekels as well as resurfacing the streets and walls of masonry at a cost of about one hundred and five Eighty thousand dollars and now there is a complex project services Ayn Arik under implementation have been buying land in the amount of twenty thousand dinars and there is a scheme to build the five-story complex was built two floors without finishing and construction stopped for lack of financing cost amounted to about eighty floors $ 1,000 per floor area 200 m², also carried out several small-scale projects of interest to citizens. The camp and its inhabitants face many difficulties including lack of recognition by UNRWA camp as camp despite the existence of formal schools and UNRWA clinic as well as the camp is to distribute supplies to refugees in the region and lack of recognition has led to the scarcity of services schools suffer from a very precarious one doomed to fall as schools suffer from lack of classrooms, overcrowding and the clinic does not provide sufficient care medical services where reviewers rate two days a week and serves the residents of the camp clinic only It provides services to the village of Ayn Arik and refugees living in the villages of Deir baze and kufor ne’ma and Bil’in, as there is no infrastructure in the camp, especially the streams where the population is suffering from this topic as there are institutions for the care of the various sectors of the population. From the most important monuments that surround the village, Khirbet Kafr Xi’an, Khirbet Dubin, Khirbet Al-HAFI. Through field surveys of old buildings by a “Gallery” of 1997, recording 132 old building in the village, including 114 buildings consisting of one floor, about 86% of the total number of buildings, the remaining buildings were composed of two floors (18 building, 14%). Construction of buildings situation showed that there were 111 the building good (84%), along with 18 buildings in poor condition (14%), and 3 buildings unusable (2%). We as a Committee in the future to the establishment of institutions concerned with the various sectors of the population, particularly children, women and youth and the advanced in years and we aim to provide services to the population and their dignities.